The Otago Daily Times has undergone a momentary and unsubtle change this fortnight. The newspaper is allowing near ‘ruthless’ honesty in Letters and Online Comments, including rightful naming and shaming (carefully expressed, within context) of individuals and politicians that should no longer be residing at the local authority. 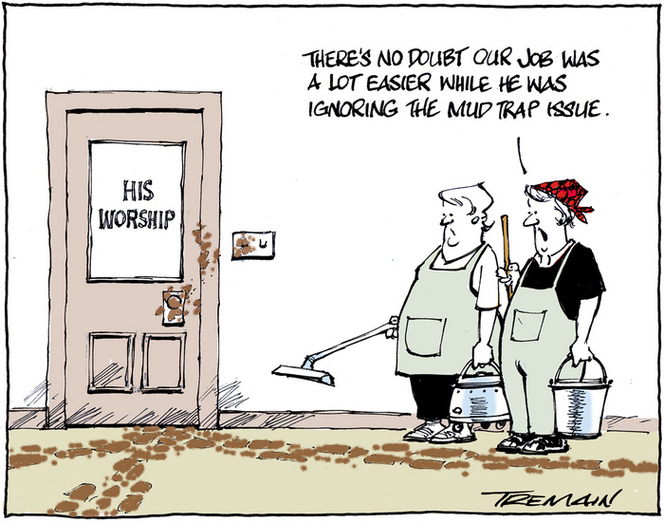 Rush in while the door’s Open —we know it is, for the cartoonist deftly flies his drone again! At our city council. (Was GT threatened from on high prior to Election Year, with blanket censorship too ?). This sudden rush of print-blood happens belatedly, as debate ensues over the council’s (stadium-ripper) lack of investment and professional engagement with core infrastructure services, city-wide. Not insignificantly, projects led by “pets” continue under the radar via budget lines in the council’s Long-term Plan (LTP) and associated Annual Plans. Of course, the “pets” feel safe from scrutiny since they’ve built up “such amazing” community rapport and goodwill (a cultural following!). Nope, own castles, own keeps, feathering own nests (*not yours!) —spending money that’s not theirs with weak justification, benefitting minor consortiums of private business (*not the wider swathe of our suburban and rural populations!). Supported handsomely (wink wink) by the odd motley politician who wants “back in”, riding the “pets” like a bar saddle to the next paid trimester. Although…. that gratuitously camp ballet scene at Tuesday’s Infrastructure Services Committee meeting : where the doorstepper was conveniently exposed doing rehearsed Q&A with a scapegoat in a hotseat, was an undoing. The video is coming! Equally, someone else nutted on about the girth of pipes in a soliloquy that will endure many viewings. 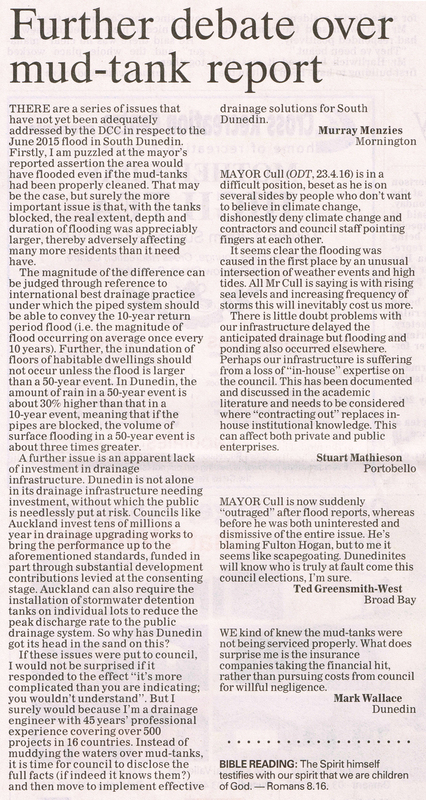 While ODT meets the temperature of its audience – at the same time, the council offers little that’s honest, immediate or genuine for the people it has ill-advisedly brought flood, damage and distress to. Surely, the worst-affected should see financial re-dress from this (highly indebted) can’t-pay council. Wethinks fixing, maintaining and upgrading council-owned infrastructure is Not Quite Enough to assuage the greater collective conscience…. There could be, however, real satisfaction seeing the council get the deep cut and tuck, a razor slash. Bringing an ungainly end to bully girls’ vanity and sly defective green-tinged parlour acts that buck off without trimming a balance sheet. Honing to essentials, the art of cartoon mayhem. Funding assistance would be available from New Zealand Transport Agency, with ratepayers set to pay the balance. 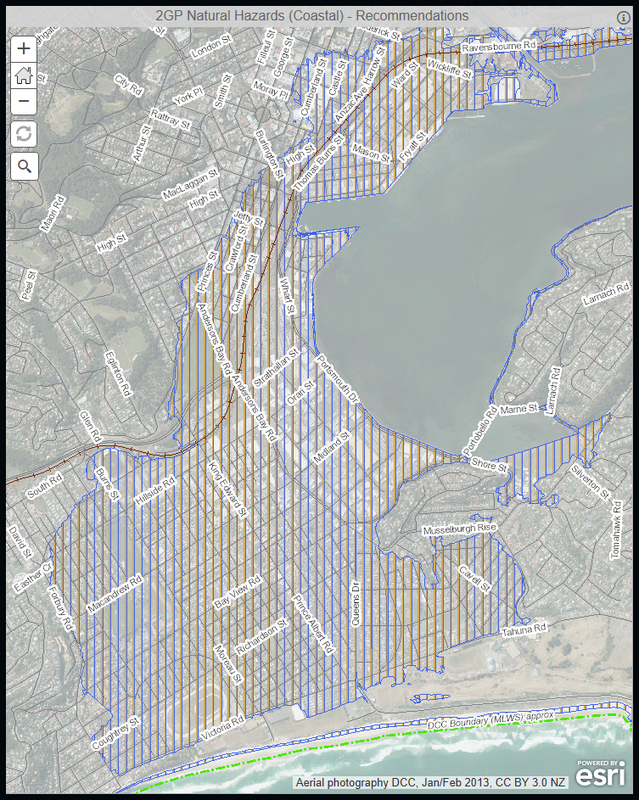 Damage to Dunedin’s roading network following last week’s widespread flooding is not covered by insurance, with ratepayers facing a hefty bill for roading repair. 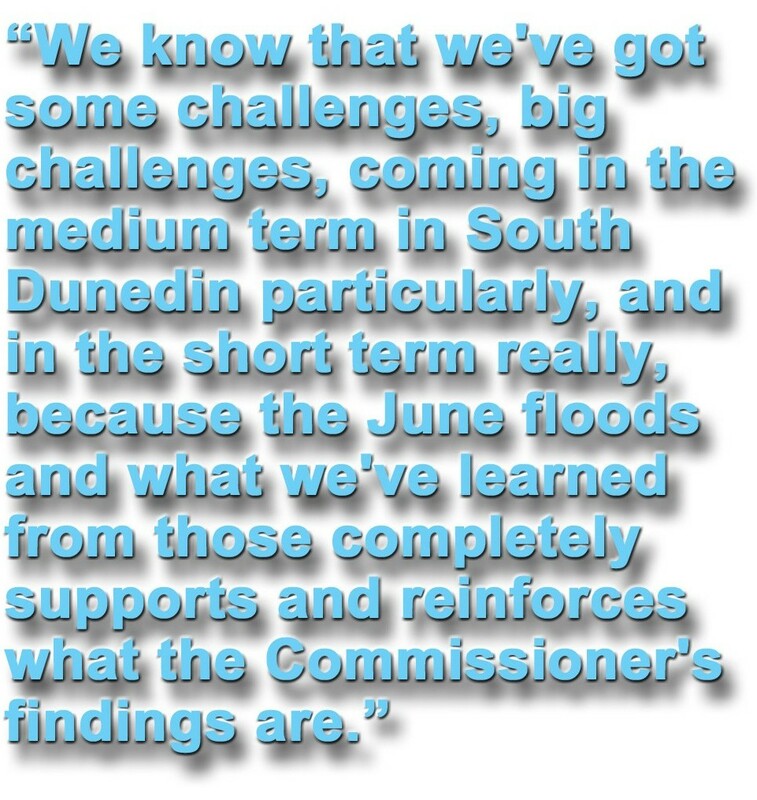 Dunedin City Council Group Chief Financial Officer Grant McKenzie confirmed the cost of roading repairs was not covered by the council’s insurance, because it had become “too expensive” following the Canterbury earthquakes. A Givealittle page, Dunedin Flood Appeal, has been set up, while donations to the flood appeal are also being accepted at all Dunedin Westpac branches. Donations can be made directly to 03 0905 0184000 18 and a street appeal will be held on Friday, 19 June.